EXCEPTIONAL PHANTOM 46...BEST PRICED IN THE COUNTRY! 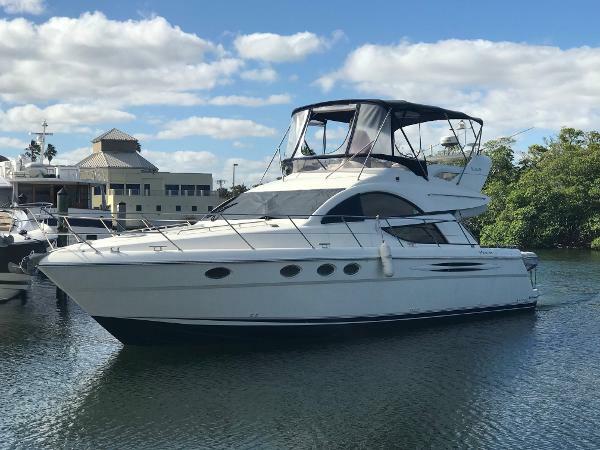 Complete Marine is pleased to offer this exceptional 2002 Fairline 46 Phantom Flybridge, equipped with twin Volvo TAMD 74P-B diesel engines rated at 480 hp each with only 1100 hours. A very well presented and equipped example, this 46 Phantom offers many creature comforts for extended cruising in 3 spacious and comfortable cabins with 6 Berths in 2 doubles and 1 twin cabin. The two double cabins feature full heads with separate shower and the Master features a private head. The spacious Salon provides a very comfortable area to relax or entertain and with the sliding glass door to the cockpit area, the entertaining can easily flow throughout the boat. The comfortable Flybridge opens the possibilities to entertain up top even while under way. Plenty of seating and an electric grill makes for great afternoons or evenings aboard. The galley is well laid out and offers plenty of quality features for the discerning chef, including custom dishes and glassware. While entertaining or relaxing, you’ll enjoy the rich sounds of the Bose surround sound system, the AM/FM/CD Stereo system, and multiple flat-panel televisions throughout the vessel. On days that are less than desirable to operate from the flybridge, the lower helm is exceptional and fully equipped. A welcome advantage to operating the boat while remaining a part of the “party”! 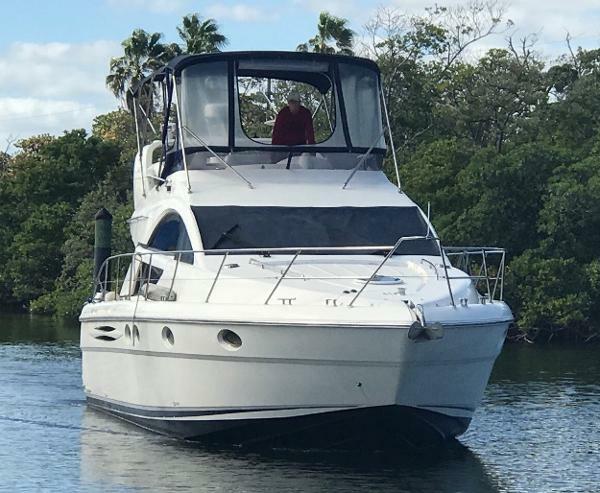 Additional features include: bow thruster, electric windlass, air conditioning & heating, autopilot, Stainless steel patio door, shore power, battery charger, Onan Genset, 4 blade bronze propellers, Trim tabs, Teak laid bathing platform, TecDek cockpit & flybridge steps, Full aft closing canopy Flybridge bimini, seat covers, Foredeck sunlounger, Transom shower, double helm flybridge seat with twin co-pilot, flyridge galley worktop, Galley features a Convection microwave, 2 x Burner ceramic top stove, Twin stainless steel sinks, fridge, second fridge in saloon, Washer/Dryer compartment under stairs, plus so much more. NOTE: The Tender shown is NOT included at this price but is available for purchase. 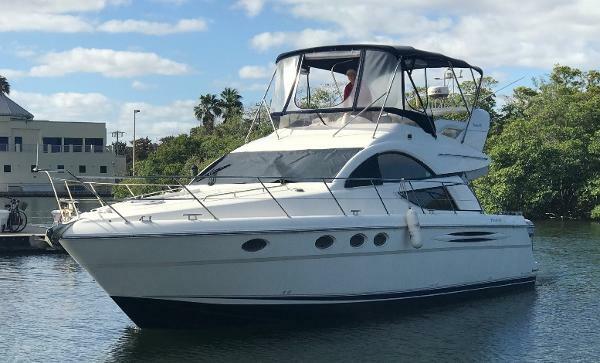 If you are in the market for a high quality exceptional boat, don’t miss out on this 2002 Fairline 46 Phantom!  Contact David at Complete Marine today to schedule a private showing of this fine vessel.